Ever since HMD Global revived the iconic Nokia phone brand, the company has been quite vocal about its dedication to rolling out timely Android updates. True to its promise, the company has now started seeding the Android Oreo update for the low-end Nokia 3 smartphone via the official beta channel. The announcement was made by the Finnish company’s Chief Product Officer, Juho Sarvikas, via a tweet which asked Nokia 3 users to test the beta build of Android Oreo and help the firm in ironing out the flaws before a stable release. The freshly released Android Oreo beta build for Nokia 3 is apparently the Android 8.1 version, as promised earlier by the HMD Global executive. The latter had previously revealed that the Nokia 3 will receive the major software upgrade on February 26, beginning with a rollout via the company’s Beta Labs program. 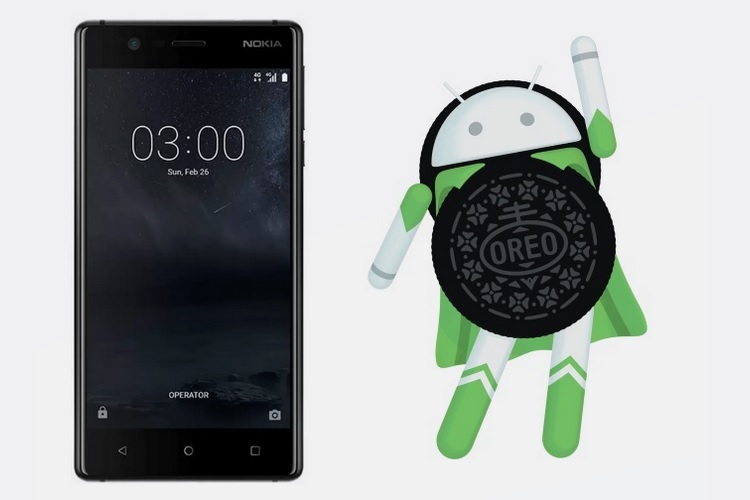 The release of Android Oreo for Nokia 3 has been a tricky affair for the company, as the device is equipped with a MediaTek processor, while other Nokia smartphones pack a Qualcomm SoC. With that in mind, HMD Global reportedly had to gain an assurance from MediaTek regarding the support for Android 7.1.1 and later versions if their chipset was to be used in a Nokia device. “We told them they would not be the chipset provider if they do not support the latest software”, said the company. With the latest beta update, the Nokia 3 is skipping the Android 7.1.2 Nougat upgrade altogether and is jumping straight to Android 8.1 Oreo. Users who are interested in testing Android 8.1 Oreo’s beta build for Nokia 3 can register for HMD Global’s Beta Labs program to get the update. The official changelog of Nokia 3’s Android 8.1 Oreo beta update has not been revealed so far, neither has the release date for a stable update has been announced, but we’ll keep you posted with new information as and when it is announced.